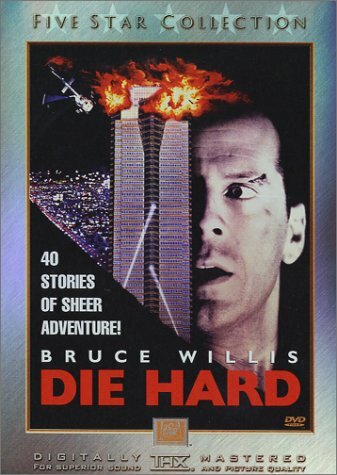 Simply click below for a review of each "Die Hard" film and seperate DVD. Enjoy! Each film is presented in 2.35:1 anamorphic widescreen and each transfer is THX certified. The films look their best and are incredible to look at. While the first film has a great transfer, I was hoping for better. Still, it looks incredible. The two sequels are some of the best Fox transfers on the market. Simply put, near flawless despite some blemishes and other annoyances here and there. With THX certified audio, Dolby Digital and DTS 5.1 tracks, the "Die Hard" films sound incredible. Movies like these were simply MADE for speakers as they are action films. A great balance of sounds and some truly excellent surround effects for each film, you really feel like you're part of the action. Explosions, crashes, fights... you name it. IT WILL BLOW YOU TO THE BACK WALL OF THE THEATRE. 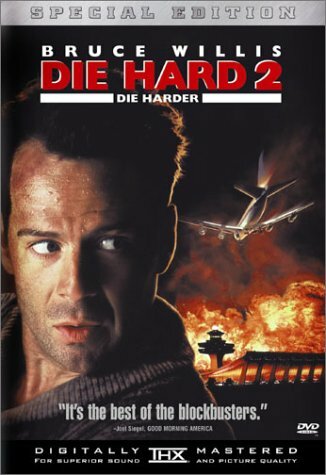 While the first "Die Hard" is the only one part of the Five Star Collection, the two sequels feature some incredible supplements of their own. There's a lot to explore and take in here on how each film was made. The first "Die Hard" has a lot of great features and while the sequels don't have as much, they still pack a lot more than most special editions these days. An incredible job in this section and no fan will be disappointed here. The "Die Hard" films are great, and I'm grateful Fox re-released them the way they were meant to be. Top it off with some incredible presentations and some fantastic features, not to mention an ideal price for a set too, and you have a series of film worth owning. DVD fans... sit back, stuff in the popcorn and enjoy one fine action series that raises the bar and is above the rest.